At the time of writing this article, the bitcoin price is around 8,000 USD. This is very huge when comparing the price two years ago. Recent days, cryptocurrency exchange startup is gaining momentum as more and more, finally traders and exchangers deciding that the business startup cannot afford to be left out them. In that means, Cryptocurrency exchange business has a major and great response for building many of the early business adopters to become quite wealthy. The more popular the platform gains more revenue. 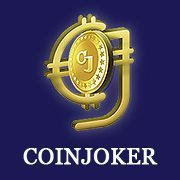 As a platform owner, they gain trading and exchange commission in millions of USD. The demand still continues to be peak and many startups are diving into this business passively. To make this platform even easier, companies provide script and solutions. This article is just abstract of the benefits that crypto exchange platform owners earn. There are still more to count and explained in this one. Infographics — How to start cryptocurrency exchange website? Necessary Of Bitcoin Trading Script|Cryptocurrency Trading Script!